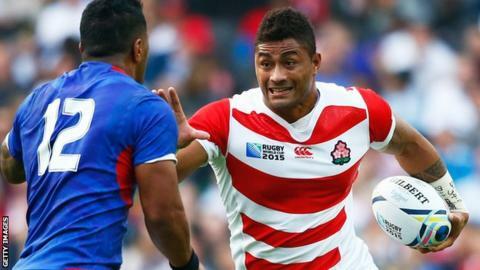 Premiership side Bath have agreed a deal to sign Japan number eight Amanaki Mafi on a short-term contract. The 25-year-old will join from NTT Shining Arcs at the end of January when the Japanese campaign has concluded. Mafi, who featured four times for Japan at the World Cup this year, will remain at Bath until the end of the season. "Amanaki is a talented young player who had a great World Cup, and we're excited to see what he can do in a Bath jersey," said head coach Mike Ford. "We have some very good players in our back row already but we're always looking to strengthen the squad. Amanaki will give us another option in a hugely competitive position."